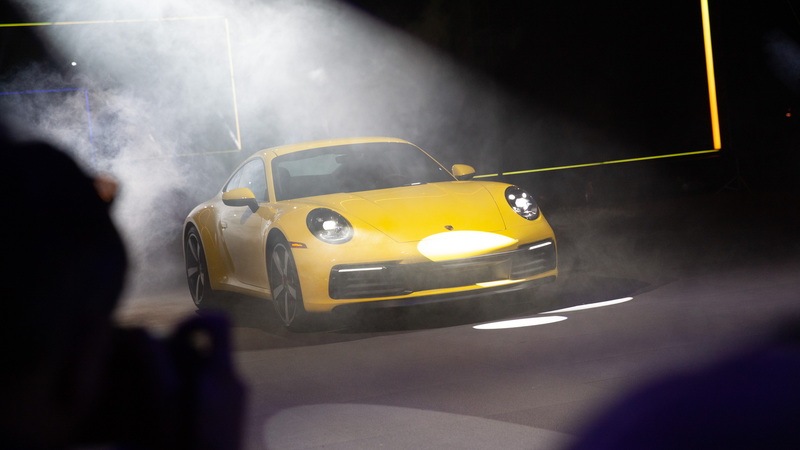 After countless spy shots and endless speculation, the 2020 Porsche 911 made its appearance Tuesday evening ahead of the 2018 LA Auto Show. Not much about the iconic sports coupe was a secret to fans of the brand, patiently awaiting the 992 model, which is officially the eighth generation of the two-door "everyday supercar." 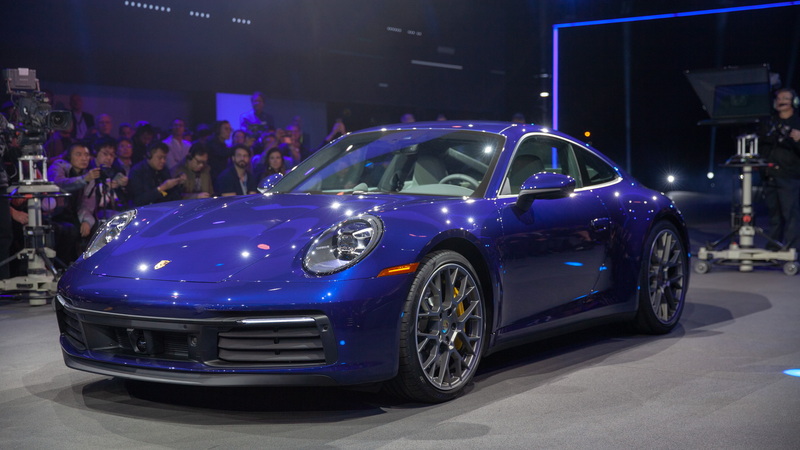 Porsche unveiled the 2020 Porsche 911 Carrera S and 4S at the Porsche Experience Center in Los Angeles after months of speculation about the car's future. What was unveiled was largely expected: the car retains the same basic shape that it's had for decades, this time with a wider track and turbocharged flat-6 engine that makes 443 horsepower, up 23 hp from the previous generation. 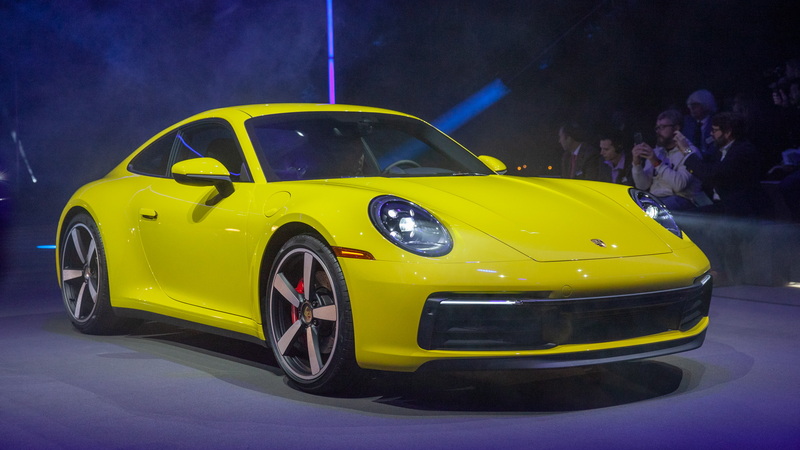 When it arrives at dealerships next year, the Carrera S and 4S will be offered with only an 8-speed dual-clutch automatic transmission, although Porsche said it would detail a manual transmission later. The new 992 will speed up to 60 mph from a standstill in just 3.4 seconds with all-wheel drive, almost half a second faster than the previous Carrera 4S. The rear-drive Carrera S can do the same run in 3.5 seconds, a 0.4-second improvement over the last version. Opting for Sport Chrono on both models shaves 0.2 seconds from the run in both cars. The cars have a top speed of at least 190 mph, and offer a new "Wet Mode" that can condition the car for slippery conditions. 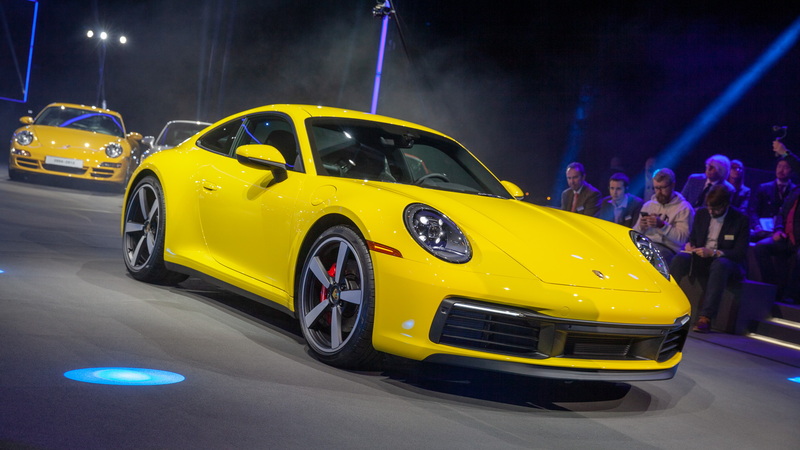 The base Carrera S will cost $114,250 when it goes on sale, with all-wheel drive adding $7,600 to the bottom line. Inside, the new 911 boasts a 10.9-inch touchscreen, up from 7.0 inches in the previous generation, and digital gauges for driver information that flank a traditional tachometer. 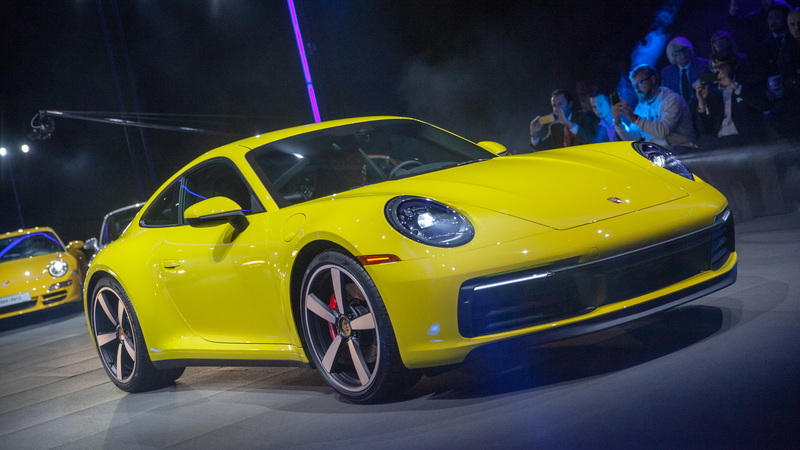 Porsche will offer the Carrera S and 4S with 18-way power adjustable sport seats and adaptive dampers for better road- and people-holding on tight corners. Outside, the new 911 takes most of its cues from its predecessors—no wild changes there. The new 911 sports electrically powered door handles (on-trend among luxury cars these days) and a wider track by 1.77 inches to accommodate its wide 20- or 21-inch wheels. The sheet metal is all aluminum this time for greater strength and lighter weight, although Porsche didn't detail how much the new car will weigh. Around back, the Porsche 911 Carrera S boasts a new single rear light arrangement, and a new 911 badge that recalls earlier generations of the car. The interior sports heritage nods, too. The flat dash and recessed instruments were borrowed from 1970s 911 versions. The new 911 doesn't skimp much on tech, however. In addition to the wider touchscreen and digital instruments, the sports car also features automatic emergency braking as standard, and available adaptive cruise control and a night-vision camera for safety. The infotainment system also uses cloud-based parking information via Porsche's connectivity suite. We expect to learn more about the new 911 and other cars at the 2018 LA auto show. For more information, head over to our dedicated hub.